Do you have an Amazon Echo, an Amazon Dot or a Fire TV Stick with Voice Control? If so, you can enable the YNAB skill and talk to your budget. Go to http://alexa.amazon.com in a web browser. If you’re on a mobile device, you’ll be prompted to download the Amazon Alexa Companion app. In the menu, go to Skills list. 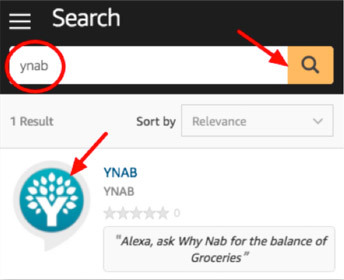 Search for YNAB and select it. Click Enable and you will be directed to a login page. 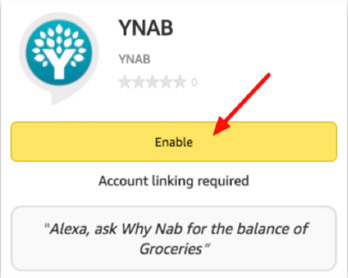 Sign in to your YNAB account and select the budget you want Alexa to use. Then, click Authorize. Alexa, ask Why Nab What’s the balance of Transportation? Alexa, ask Why Nab for the balance of Eating Out. Alexa, ask Why Nab are we able to spend any money on Gifts? Alexa, ask Why Nab how much cash do we have available to spend in our Gas category? Alexa, tell Why Nab to record a new transaction. Alexa, tell Why Nab I just spent 9 dollars and 32 cents. Alexa, tell Why Nab I just received 10 bucks. Alexa, tell Why Nab I received 5 dollars yesterday. Alexa, tell Why Nab I spent 12 dollars and 13 cents in my Checking account on Groceries. 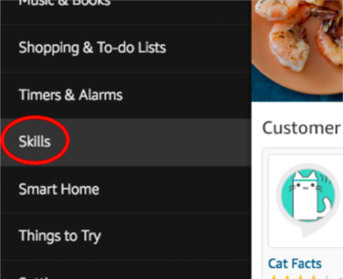 Alexa is a good listener, but if your account or category names are really long or contain punctuation or rare words, she may have trouble understanding you. 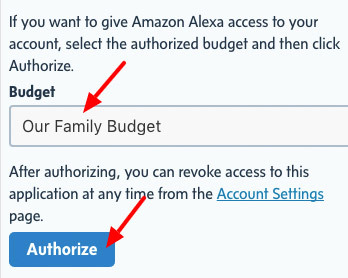 Update the name of an account or category to something more Alexa-friendly!